In the second season of Netflix’s remake of 1970s sitcom “One Day At A Time,” actress Sheridan Pierce plays Syd, a non-binary student activist. (EDGE) After canceling the LGBT sci-fi series "Sense8," Netflix offered an apology to fans last week, saying it couldn't bring back the beloved series. Hundreds of thousands of fans signed a petition, urging the streaming service to renew "Sense8." Dallas City Council members Adam Medrano and Philip Kingston joined Northwest Division Police Chief Catrina Shead and about 10 police officers and members of the Mayor’s LGBT Task Force to meet Wednesday night, Oct. 21, with a packed house at Resource Center to discuss community safety. Russia's controversial anti-gay "homosexuality propaganda" laws won't stop the 2014 breakout film "Pride" from being released in the conservative country. (CNN) -- If you're planning to stay home New Year's Day and stream classic movies on Netflix, you may be out of luck. Jaws drop open when Lea DaLaria sings. The self-identified butch dyke has the voice of an angel. Her eclectic career includes stand-up comedy, cabaret headliner, recording artist, Broadway star, film, and television, where she currently appears as Boo on the acclaimed lesbian-centric prison drama "Orange is the New Black” on Netflix. 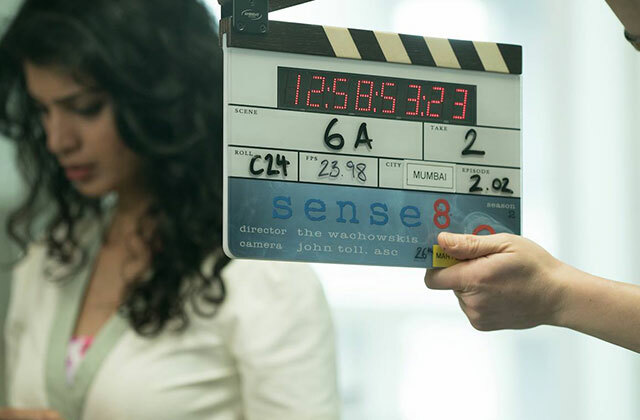 UPDATE: Netflix has confirmed "Sense8: A Christmas Special" will premiere Friday, Dec. 23. The episode is set to be a two-hour special. Season 2 will premiere on May 5, 2017 with a total of ten episodes. A Netflix original that stars a trans pansexual woman, a closeted gay man and more is finally returning for its second season. (WB) Netflix has picked up the worldwide rights to David France’s documentary, “The Life and Death of Martha P. Johnson,” Varietyreports. (CNN) -- Good news for fans of "Marvel's Jessica Jones," whose first season is available on Netflix: The show featuring the superhero turned private eye will be back for a second installment. (EDGE) A North Carolina town is losing out on an estimated $60 million infusion of Netflix cash thanks to the lingering, still-active parts of an anti-gay law that cost the state huge losses before it was (mostly, but not completely) repealed.